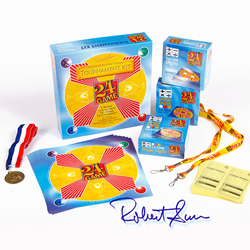 This Signature Edition Tournament Kit makes planning and implementing a 24® Challenge tournament easy! A 24® Game competition gets students excited about math and are an excellent vehicle for propelling students into the world of mathematics. CLICK HERE to download free Certificates of Excellence.